For more than 35 years Coach Phil Sanders has guided fishing adventures in this beautiful Texas hill country area known for great crappie and white bass catches. Fishing is more than catching. Enjoying the natural beauty of the great outdoors, the waterfowl, and the weather create a memorable experience for everyone. Get your kids off the computer and onto the water catching not only crappie, but bass, white bass, 3 species of catfish, and Gaspergoo (freshwater drumfish). Let's go Fishing with Coach. We've got a seat for you on Phil's boat. 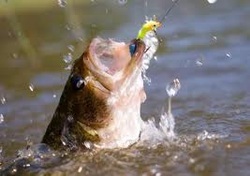 Fish for crappie, bass, white bass, catfish, freshwater drum . $50 for each additional person. Custom Trips - Any amount of time you need. Call 512-589-1416 for Customized Trips to meet your needs. "I fish to your needs"
Satisfaction guaranteed! Bad Weather Days are Rescheduled with 24 hours notice.